There are many athletes, who because of their busy jobs, can train only after they clock-out on Friday afternoon. They're weekend warriors. And for many photographers, the situation is similar. A great way to unwind on Friday evening is to fill your favorite daypack with photo gear, and make plans for a short hike. It doesn't have to be all day or on a trail in an exotic location. The local park will do just fine. 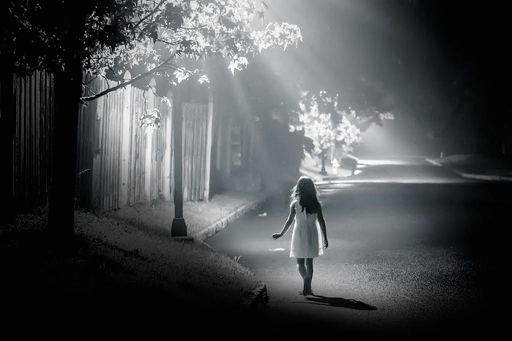 What is important is getting out in nature, or the city streets if that's your preference, and taking pictures. In just a few hours, you will capture a handful of images that you can use for Facebook, Instagram, Twitter, Flickr, or your web site. And if you're lucky, maybe something that would make a nice print too. Yesterday, after I had met my work obligations. I grabbed my Lowepro bag and drove 30 minutes to Sugarloaf State Park. Patrick, my camping buddy, had already set up the site. We grilled a couple burgers for dinner, then went exploring on a twilight hike. In just a 90-minute span of time, I photographed deer grazing in tall grass (went on Instagram and Twitter), two girls riding their bikes (TDS, Facebook), and a sunset vapor trail from a jet (probably Instagram tomorrow). Will I win a contest with any of these images? No. But I had a great time, got some exercise, practiced taking pictures, played with a new lens (75-300mm), and acquired fresh content that I would never have captured in front of the TV or at the grocery store. Athletes forced to train on the weekend would love to work out more often than that. But they realize by staying in shape, they can take advantage of any opportunities that may present themselves in the future. For photographers, it's even better. Embracing your weekend warrior makes you a better shooter. And you're rewarded with new images right on the spot. I have camera bags dating back to the 1980s. They might not have the styling and features of my current favorites, but they certainly are functional. And some of them have been pressed back into service. For example, this Lowepro Elite Convertible contains the flash kit I use for location portrait work. I have twin Sunpak units with CowboyStudio Wireless Flash Triggers mounted on an adjustable bracket. On location, I simply pull the entire unit from the bag and attach it to a stand. It literally takes a minute, and I'm ready to shoot. Having a bag that allows me to work quickly on location is a blessing as I move from site to site. Nobody likes to wait for the photographer as he fiddles with his gear for 15 minutes before he's ready for the next location. In the front pocket, I stash all of my Rogue FlashBender light modifiers. I open the pouch and choose the appropriate accessory for the lighting I'm configuring. And because this is a bag from yesteryear, I can set it down anywhere and not worry. It's like having an old car to park at the airport for a week while traveling. You just don't worry about it. Old camera bags also make excellent storage units at home. You can organize gear by brand or type, and have everything at your fingertips when needed. Do you have an empty camera bag or two in your closet? Think about reenlisting it into your workforce. You'd be surprised at how useful your old friend can be. Over the years, we don't realize that one of our best picture archives is our email account. Numerous images are sent and received, and are still available... if there was only an easy way to retrieve them. The Mac app, Lost Photos does exactly that. It's like a time machine for imagery. And the best part is that it's on $2.99. 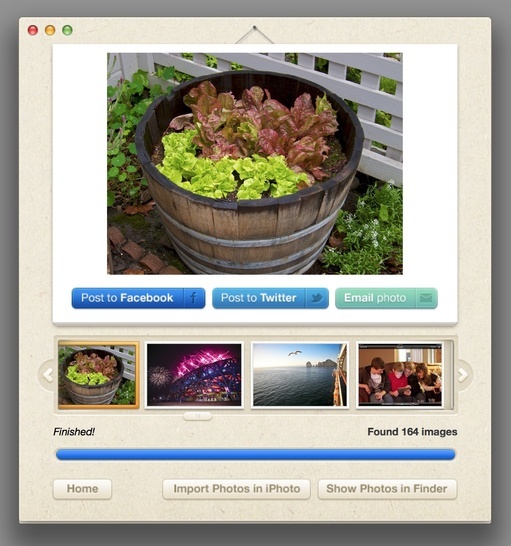 You can download Lost Photos from the Mac App Store for free and give it a spin. Just point it to one of your email accounts, and it will retrieve images that you've forgotten you have, and place them all in a folder. If you go past the 100 mark, it will prompt you to upgrade to the unlimited version for $2.99. From this point on, you can merrily take a trip back in time with each of your email accounts. 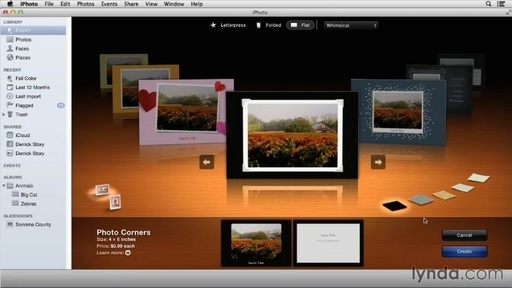 After Lost Photos has gathered all of your pictures, it will move them to iPhoto if you wish. Or you can leave them in the organized folders. Either way, I'm sure you'll discover many snapshot gems that you had forgotten about. This week on The Digital Story Photography Podcast: New Gear Rumors for Photokina, Aperture Update, Photoplus Expo - All of this and more on today's show with Derrick Story. Story #1 - The Weekly Update: Apple RAW Compatibility Update 5.06 Adds 10 Cameras to Aperture - Even though development of Aperture is paused, its maintenance is ongoing. We get 10 new RAW profiles including the EM-10 and the GH4. (Source: The Digital Story). In other news, I've accepted a contract gig with Rocky Nook Publications to serve as their Photography Evangelist. Rocky Nook publishes finely crafted books on photography technique. 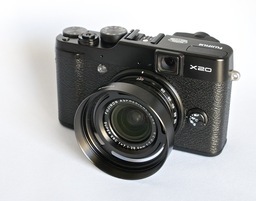 Story #2 - My Favorite New Gear Rumors for Photokina. The list includes releases from Canon, Nikon, Olympus, Fujifilm, and more. I add my comments to a fun post published on www.camyx.com. Story #3 - From the Screening Room - Up and Running with iPhoto with Derrick Story. The current version of iPhoto has tremendous capability. And it's going to be around for a while, and possibly even after Photos is released. This title includes the features you should know about. Story #4 - Winner! A Free Photo Workshop. So many great suggestions and notes to go along with them. The topic I've settled on as one of the new additions to the 2015 TDS Workshop Lineup is: "Transitioning From Aperture." 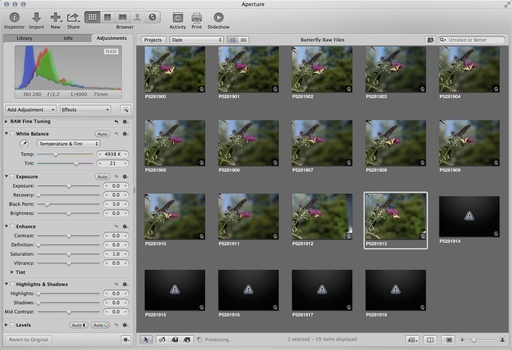 We'll examine the various options for Aperture users including migrating to Photos, moving to Lightroom, establishing a long term Aperture archive, integrating with iCloud, and more. Thanks to TDS virtual camera club member, Kevin Miller for this topic idea. Kevin will be invited to this workshop, tuition free. This professional reporter's bag was co-designed by former Washington Times photographer Kevin Gilbert who covered the White House among his many assignments. 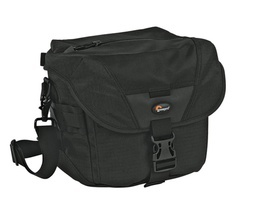 B&H is now featuring the Stealth Reporter D200 AW Shoulder Bag for $59. That's a savings of $47 from its normal $106 price (with free expedited shipping). And the "stealth" feature is that there's an opening on the top of the bag that allows you to reach in and grab your camera without having to open the flap. At the moment, iPhoto is still the go-to picture management app for many snapshooters. And rightly so. You can organize, edit, and create cool output such as custom greeting cards featuring your own photography. If you haven't tried making your own foldable artwork, take a look at my tutorial, Designing a Greeting Card from my title, Up and Running with iPhoto. This training is for those using the latest version of iPhoto with Mac OS X Mavericks. Once you design your custom card in iPhoto, you can have it professionally printed in any quantity you want. But you also have the option of saving your design as a PDF and printing it with the inkjet you have sitting idle in your office. Another handy tip is that these designs make terrific title and chapter openers for slideshows. Simply design your "greeting card" as a title slide and save it as a digital file. Then add it to your presentation along with the other images. It's easiest if you use the "flat" style of card design. Regardless of how you like to use iPhoto, I think you'll find some useful tips in Up and Running with iPhoto. Apple released Digital Camera RAW Compatibility Update 5.06 that adds Raw support for the following cameras. 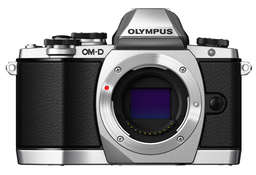 This is great news for Aperture (and iPhoto) users shooting with one of those cameras -- in my case the Olympus OM-D E-M10. After you install Update 5.06 via the App Store, relaunch Aperture and enable the Adjustments tab. With the Adjustments tab enabled, you can click on each thumbnail to bring it to life. I use the arrow key to move from image to image. For the June 2014 Photo Assignment, TDS shooters turned their back on the sun and looked for alternative light sources. See for yourself in our gallery, Any Kind of Light but Natural. And which one will be the SizzlPix Pick of the Month? Photo by Ashwin Chathuruthy. See all of the great images from this month's assignment by visiting the Any Kind of Light but Natural gallery page. The August 2014 assignment is "My Favorite Close-up." Details can be found on the Member Participation page. Deadline is August 30, 2014. No limit on image size submitted. Please follow the instructions carefully for labeling the subject line of the email for your submission. It's easy to lose these in the pile of mail if not labeled correctly. For example, the subject line for this month's assignment should be: "Photo Assignment: August 2014." Also, if you can, please don't strip out the metadata. And feel free to add any IPTC data you wish (These fields in particular: Caption, Credit, Copyright, Byline), I use that for the caption info. Gallery posting is one month behind the deadline. So I'm posting June 2014 gallery at the end of July, the July gallery will be posted at the end of August, and on and on. 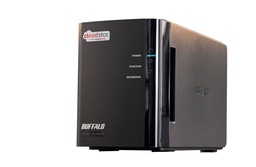 One of the many backup and sharing solutions that I use for my photography is Pogoplug's personal cloud software combined with a Buffalo CloudStor 2-Bay RAID hard drive ($206). This system sets up at my studio, yet is accessible anywhere with an Internet connection via my laptop, iPad, or iPhone. The initial investment is just a couple hundred dollars, and there are no monthly fees. Plus, I have on-site RAID mirroring to protect me against hard drive failure. In this movie produced by lynda.com, I show you how the Cloudstor system works. I demo communication with the networked RAID device located hundreds of miles away. This free movie is part of my training title, Managing Your Mobile Photos, where I cover a variety of backup solutions for both iOS and Android users. If the embedded movie fails to play, you can watch it by clicking on this link: Taking a Look at Pogoplug. I've been using the Pogoplug/Buffalo system for over two years, and I haven't had a single problem with it (knock on wood)!